When the Kurtis Sport Car came onto the American sports car scene the United States found itself in the fast paced Post-War era. We had thousands of World War II veterans integrating back into civilian jobs. The spirit of adventure was entering the automotive world. And Americans were ready to celebrate as the booming economy provided jobs and prosperity. 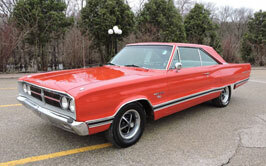 All of this got Frank Kurtis to thinking that America needed a two-seater sports car. Frank Kurtis was a famous race car builder who had been building midget racers and sprint cars prior to World War II. While Kurtis was building his successful Midget, Sprint and Indy car business, he kept his team busy in the off season by building Hollywood movie cars and one-off specials. After he custom built a one-off two-seat sports car in 1948 the reaction was so interesting that he decided to design and manufacture it on his own. A 1949 Kurtis Sport Car was featured on the front cover of the first edition of Motor Trend magazine. Motor Trend applauded Kurtis’ design saying it exhibited “all the features a sports car should have: speed, maneuverability, acceleration, power, and sleek looks.” Adding to its amazing provenance, the first production model went 142 mph at Bonneville. In fact, Wally Parks set a land speed record at Bonneville with that very car. Parks told the current owner that it was the only car worthy of his signature. The 1950 Kustis Sport Car you see pictured here is being offered for sale by Legendary Motorcar Company. (Follow this link to view dozens of detailed photos.) They tell us that Kurtis actually only built sixteen of these cars before he sold his design to crazy advertising millionaire Mad Man Muntz. Our readers may remember when Legendary Motorcar Company offered a 1954 Muntz Jet for sale in September. (See the story featured in the Cars-On-Line.com newsletter in October, 2018.) To say this car is rare is really understating the facts. It may be the first one our readers have ever seen. They describe it as the last Kurtis Sport Car built at the famous Kurtis race car shop in Glendale, California. This car orignally was owned by Indy Car owner Jack Hinkle. While he owned it, it was used in the movie called Johnny Dark (played by actor Tony Curtis) about an automobile engineer who designs a radical race car. The subject of a beautiful concours restoration, this 1950 Kurtis Sport Car body was taken down to bare aluminum and every panel fitted to better than when it was new. Following the metal work, the body was painted to a concours quality, having been wet sanded and polished. The trim has been polished and straightened and bumpers re-chromed. In 1949, Kurtis began building his iconic Sport Car and formed a partnership with St. Louis Kurtis-Kraft race car dealer Ed Walsh to create Kurtis Sports Cars, Inc. They then set to work designing and developing a sports car that could be put into production. Kurtis liked to set up race cars with a softer suspension than other builders, so when he built the Kurtis Sport Car, naturally, his suspension was more comfortable than comparable European sports cars. A lot of the features that Kurtis designed into his Kurtis Sport Car were later adopted by the big three automotive manufacturers. The steering column could be adjusted to the driver, much like a tilt steering. The big bumpers were mounted on rubber shock absorbers. 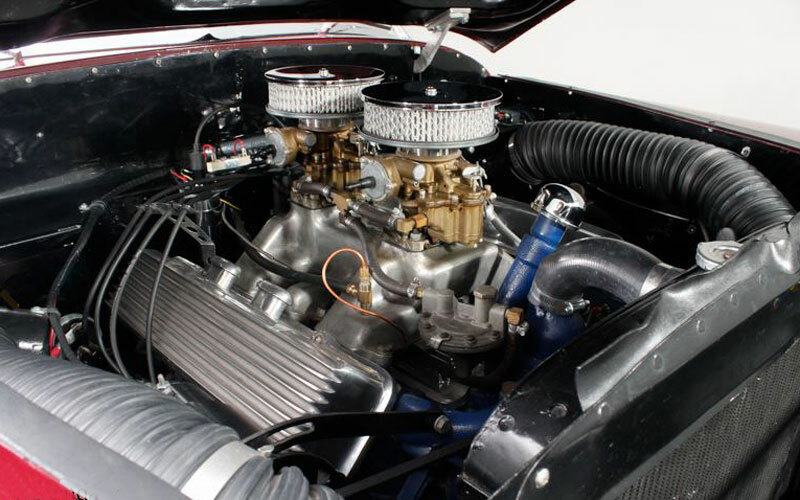 Although Kurtis originally wanted to use a Studebaker motor, most Kurtis Sport Car models were outfitted with Mercury Flathead V8’s. 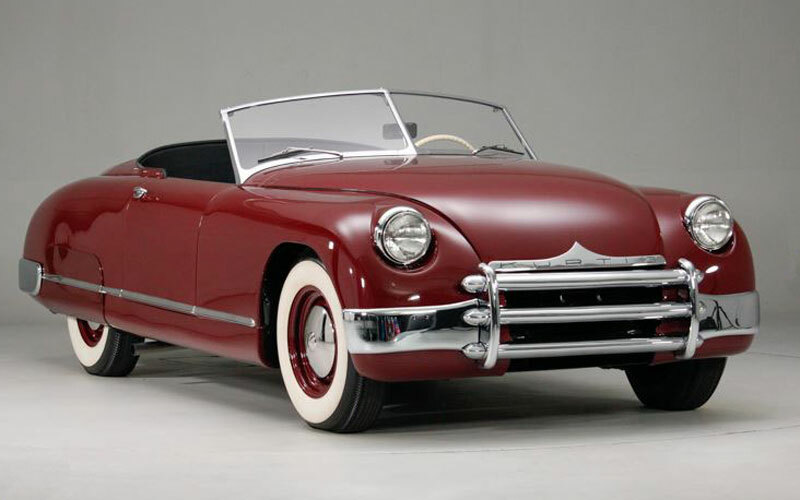 This 1950 Kurtis Sport Car was the last one built, so it has the 331 ci Cadillac V8 engine. 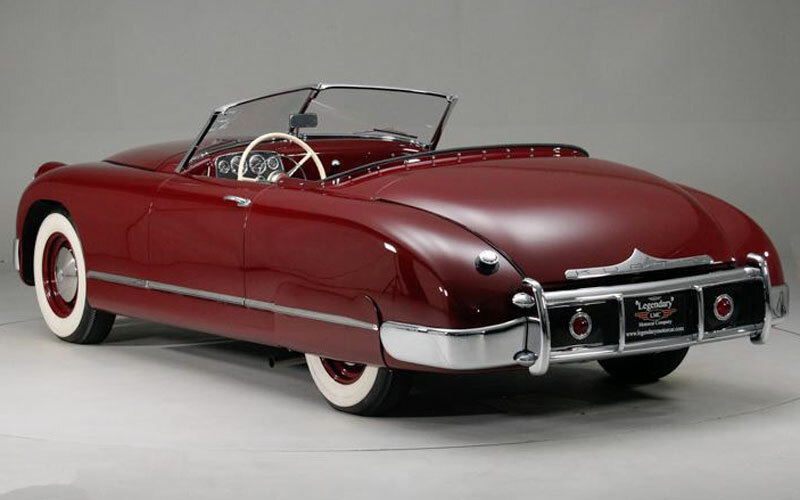 The later cars came with Cadillac engines and a Cadillac 3-speed gearbox. Legendary Motorcar Company is one of the world’s top classic car dealerships. They tell us this is an important investor vehicle with incredible provenance.